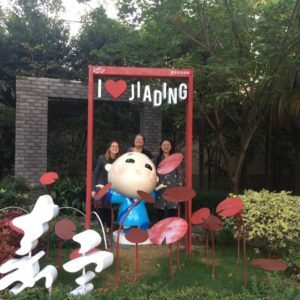 Following a trip to Shanghai by CYCJ and the University of Strathclyde, Donna McEwan reflects on the differences (and surprising similarities) in social work and youth justice, and how we can use this learning to improve what we do in Scotland. Working at CYCJ creates opportunities I could never have imagined as a social worker in direct practice. One such occasion stemmed from conversations at the beginning of 2018 when Dr Xu Yang (Marina) from East China University of Political Science and Law (ECUPL) visited the University of Strathclyde’s School of Humanities and Social Work. These early conversations regarding youth justice in Scotland, the journey travelled and where we aspire to be in comparison with what youth justice looks like in China and specifically Shanghai was only the start. From these beginnings evolved the first symposium between University of Strathclyde’s School of Social Work, CYCJ and ECUPL which just so happened to be held in Shanghai (jealous much?). So, off went five from across CYCJ, Equally Safe in Higher Education and the School of Social Work and Social Policy to Shanghai. Our small group were unsure of what to expect and the language barrier was going to be… interesting. Whilst some research prior to travel was undertaken to learn more about youth justice, gender issues and social work in China, we just didn’t know what to expect. As you would envisage there were significant differences, even just the sheer scale with Shanghai alone having a population of some 24 million and Scotland a tad smaller at approximately five million, but also surprising striking similarities (more on which can be found in our report on the visit). I will touch on a few I found most noteworthy. The systemic and structural set-up of social work in China is very different to Scotland as Non-government Organisations (NGOs) deliver all social work services. The Chinese government decides which issues they wish these organisations to focus on and they then devise and tender each year to deliver these programmes. The government still has a very strong role in directing the areas of focus and directly funds these NGOs but there is no guarantee that year on year the organisation will continue to receive funding. This seems more akin in Scotland to the position of third sector agencies, particularly as they face challenges in maintaining funding in an ever-decreasing pool of money and shifting priorities. There were strong similarities between the work of the Set Sail NGO, which we visited, and social work in Scotland in the principles, goals and values in trying to provide intervention for children and young people across the justice system. They supported children both in the community and in custody (although we didn’t get a chance to visit custodial establishments). Set Sail undertakes specific work with children and their families using the “three C Programme” where they check in with children involved in offending behaviour, show the children they care about them and support them to change their behaviour. I reflected that this illustrated our shared values and principles that all under 18s are children, children involved in offending behaviour are children first and they must be valued, cared about and for as well as being supported and encouraged to change behaviour that is detrimental to them and others. A further striking similarity both countries are facing are challenges to their respective age of criminal responsibility (ACR). Within China, they are facing a push to reduce their ACR from 16 years whereas in Scotland we are at a point where the current work to increase the ACR from eight to 12 years is now exploring an increase to 14 years, as directed as the minimum age by the UNCRC. However, CYCJ would advocate that 14 is not enough and we should match China at 16 years. Across the social work practitioners, Youth Judges, Procurators, Education representatives and academics we spoke to and listened to in Shanghai there was a strong commitment to upholding the ACR at 16 years, a sense of proportionate responsibility that considers a child as a child and not responding to them as an adult. However, this still creates a two-tier system where the seriousness of the offence, irrespective of whether they are under 16 years and a juvenile, means they may still be criminally dealt with. It is important that Scotland recognises the need to treat all children equally as we strive to align ourselves with the UNCRC age of criminalisation and should be braver by going beyond that. I just want to reflect on a final important difference in practice involving the Procuratorate, the equivalent of our procurator fiscal, and the youth court judges. The Procuratorate in China appears to have a far higher level of involvement in responding to and dealing with children involved in offending behaviour. The overarching principle of responding to children involved in offending behaviour in China is not to punish but to educate and legislation provides opportunity for procuratorates to take a wide range of action and direct interventions rather than prosecution in court. For those children prosecuted in court, if convicted then following sentencing the judges have a responsibility to visit that child afterwards wherever they are to see how they are doing. This is an opportunity to encourage a young person’s sense of inclusion within wider society, supporting their development in decision making as well as their personal and social identity in a positive manner as the justice institution demonstrates an interest in their views, care and progress. This also provides procuratorates and judges insight into the impact of their decisions upon the young person. I fully accept some aspects of my understanding will be lost in translation. However, this opportunity illustrated that whilst there are many clear differences between the structures of the systems, there are many similarities across youth justice in China and Scotland. Shared values and principles, the position of social work and interface with third sector, roles and responsibilities of sentencers and decision makers, the respective challenges to upholding and implementing UNCRC and a commitment to maintain or increase ACR respectively to name but a few. I hope this is just the beginning and that further exchanges will allow for a deeper understanding across our respective youth justice practice, policy, legislation and continuing to learn and question each other as to how we do things better. Donna McEwan is a Practice Development Advisor with CYCJ. Find out more.